As like Google, Android also has very tight security, which is nearly impossible to break. If you have ever read few hacking news, you may know it very well that in most common cases, it was the user's fault why they are hacked easily. They might not be using any security protection. What if your phone is lost or stolen by someone and there is no security protection in it. All your data will go in wrong hand. He can access your Google, Facebook and other social accounts. To keep user's data safe and secure, Android has added various security layers. For example, you can add screen pattern or pin lock on your phone. Some manufacturers also provide face-detection screen lock. It's not that easy to break them and thus your data is safe. 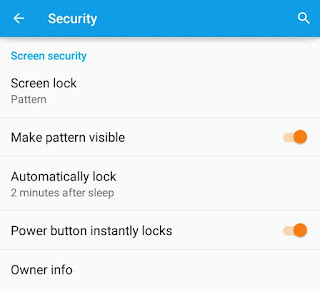 Here's all what you need to know about screen lock security and how you can setup it in your Android phone. Slide - This one is the basic and baby lock which can be unlocked by anyone just by sliding the screen in desired location. 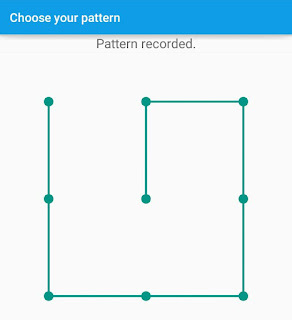 Pattern - As name itself suggests, in pattern lock, you've to draw the right pattern to unlock your phone. It's less secure as people can easily guess or steal your pattern. PIN - Basically, a 4-digit number which serves as PIN to unlock your phone. It is the most secure screen lock and most importantly, you can unlock it very quickly. Password - This lock is an advanced form of PIN lock where you can also add numbers, alphabets and special characters to create a unique and strong password. Face-detection - Some manufacturers also provide face-detection lock which scans your face via camera and then unlock the phone. Face-Lock is less secure than Patterns, PINs and Passwords as other people can easily unlock it with your picture. Sometimes, it may not recognize you or recognize other people as you. First of all, go to "Settings > Security". Now tap the "Screen lock" option. If you are already using any of the screen lock, simply enter the password or draw the pattern to unlock it. Now click the screen lock you want to apply (Say pattern lock). Draw an unlock pattern and confirm again. Make sure that it's not common and easy to guess like Z, L or U. Next, select the notifications that you want to show when your phone is locked and finally tap the "Done" button. 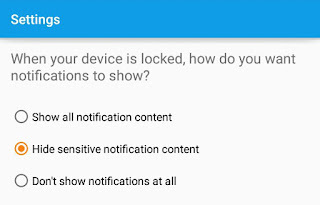 There are a few more basic options available in Android's screen security. For example, you can make your pattern visible and set the certain time period to automatically lock your screen after sleep. If you would like to lock or unlock your phone instantly, you can enable power lock button. You can also add an owner info, which could be useful if your phone is lost, so that the person who found it can contact you. Change lock screen wallpaper: To change the lock screen wallpaper, first open the image in Gallery app. Now tap the menu button (usually three dots) and then click "Use as" option. After this, crop the image and finally click "Done" button. 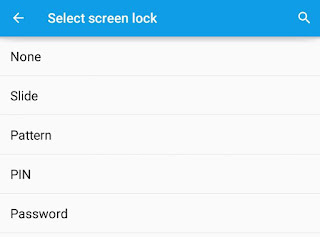 Customize the lock screen: There are a number of third-party apps and widgets available on Google Play Store, which can customize the lock screen. DashClock is one such widget, with which you can change clocks and view emails and weather updates. Use in-built Android's Daydream: Daydream is a screen saver feature which works when your device is charging or docked. To enable it, first go to "Settings > Display > Daydream" and then switch on the button. Now customize and apply the screen saver effect. 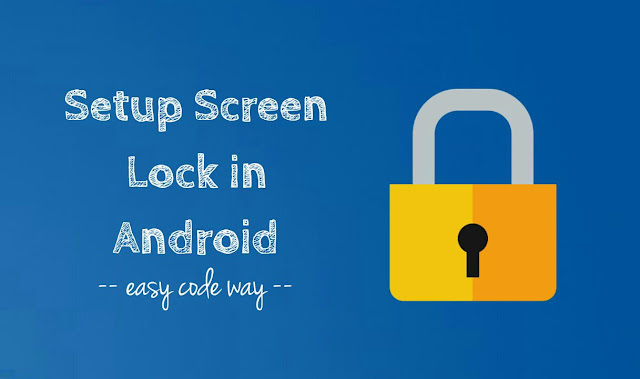 So this is how you can setup and customize screen lock in your Android phone. Isn't it the best security layer to protect your data? If you have some questions in your mind, please do share them in the comments.